This fallen Angel looked for another. Luckily, Rod Carew spotted one. Carew received a reprieve after suffering a massive heart attack. That day on Sept. 20, which had him hitting golf balls, was almost his last. 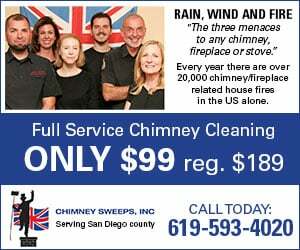 The same goes for the work done by Scripps Health. Carew’s six-hour heart surgery was performed at the Prebys Cardiovascular Institute in La Jolla. That preceded a nearly month-long stay at the Inpatient Rehabilitation Program at Scripps Memorial Hospital Encinitas. 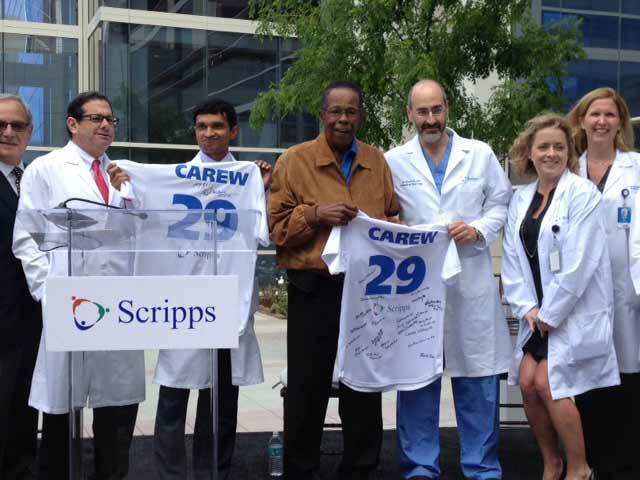 Carew was in North County on Tuesday, saluting those medical miracle workers that have him up and about. The sweet-swinging first baseman with seven American League batting titles and 3,053 hits was tipping his cap to those he’ll never forget. Carew received three stents to his left anterior descending coronary artery. But he continued to struggle with his heart function severely depressed. He was referred to the Scripps Advanced Heart Failure and Mechanical Circulatory Support team and a decision was quickly reached. Carew was fitted with a left ventricular assist device, a battery-powered pump that is placed in the heart during surgery to facilitate blood flow. Carew’s device is connected to a lightweight battery pack that he wears in a vest. “These are brilliant people,’’ Carew said. Although Srivastava wasn’t so smart to know of Carew’s amazing background. In Srivastava’s native India, the sport requiring a bat is cricket. “But I know where I come from if anyone was an 18-time All-Star, we would build him a temple and worship him,’’ Srivastava said. He was interrupted by Carew’s cough, which Srivastava quickly discounted. As usual, Srivastava was right. But it was a cough that was a positive sign of Carew’s progress. He just returned from two weeks at the Twins’ spring training complex in Ft. Myers, Fla. Carew was back on the field, and considering it was less than a year ago he was on his back at the golf course clubhouse, that’s as amazing as his stellar Major League career. So that man who was idolized by late Padres great Tony Gwynn is swinging again. He’s hitting everyone with a consistent message: have your heart evaluated. Carew has already prevented someone from suffering what he did. Former Angels pitcher Clyde Wright heard Carew’s mantra. “He saved my life,’’ Wright said. Wright didn’t know it, but his heart was under severe duress. If not seeking the attention that led to a triple bypass surgery, the cards weren’t in his favor. Carew’s next step could include a heart transplant. If so, the new one will be touched just like the old one when Scripps Health is mentioned. “Hopefully I’ll get a heart of a 21-year-old and it’ll give me the chance to go out there and hit some line drives,’’ he said. Carew’s advice comes through as loud as one of his hits.